Things are looking up for Jack J Hutchinson. It’s a decade since the Burnley-born songwriter made his ignominious London debut (a gig that ended in a stand-off with a stage invader). Now, with his Pledge target for Paint No Fiction smashed in 24 hours, it seems public opinion has swung behind this bowler-hatted, runaway-bearded, pint-sinking everyman. 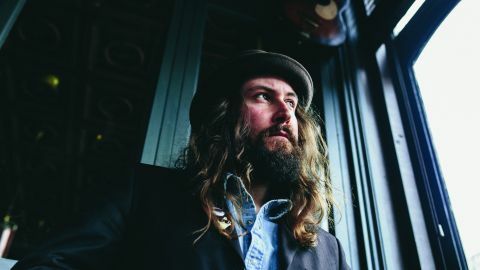 Here, Hutchinson strays beyond the confines of his Boom Boom Brotherhood band, submerging his Britishness on an album of Southern-smoked blues-rock with hooks, choruses, the lot. Deal With The Devil, you should already know: this recent Track Of The Week has a Crowes strut and lift-off harmony chorus. Hip Slickin’, too, conjures the Robinsons at their catchiest, far removed from the stodge ‘n’ plod of the twelve-bar mob.